Our Services | Tony Franco Realty, Inc. Buyer Representation – we have access to CoStar, Loopnet, Sandicor (San Diego’s MLS), and other sources that will display all of the properties listed for sale. At Tony Franco Realty, Inc. we have “pocket listings” that are not exposed on the open market that only qualified investors can view. Once you find a property you like, then we can help you forecast the future income and help you determine if the investment fits your needs. Using our techniques and experience, we will negotiate the best price and terms throughout the escrow process. Seller Representation – if you’re considering selling your property, then let’s start with a free “Broker Priced Opinion” (BPO). In the BPO we will examine the Property Characteristics of your building, Rental Comparisons in the immediate area, Sales Comparisons of similar properties, the Financial Overview of your property and we will provide you with an accurate value of your real estate to help you determine if now is a good time to sell. Once you decide to move forward and list your property, we will expose your property to an unparalleled database of investors, owner-users, and other real estate brokers using various marketing techniques. Using our techniques and experience, we will negotiate the best price and terms throughout the escrow process while ensuring a pleasant experience. Landlord Representation – If you have a vacancy coming up in your property, then it would be best to consult with a local broker who knows what the market rents are. 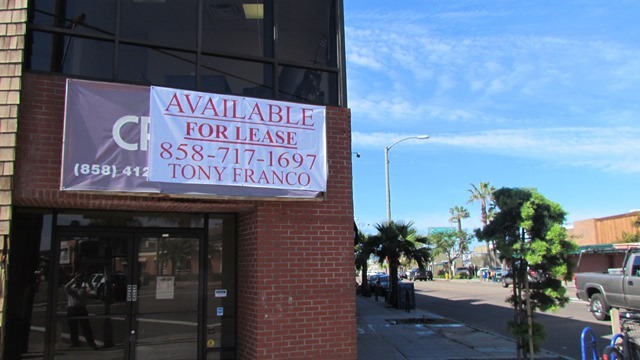 At Tony Franco Realty, Inc. we have an extensive database of lease comparisons that will help you determine how much you can charge for your space. Furthermore, we have the means to expose your property to the entire country in hopes of attracting the most qualified tenant(s). Every tenant that has called us on our vacant spaces is registered in our system, so we know the prospective tenants who are the likely suspects in leasing the vacant space. Save money by allowing us draft the Lease Agreement. From years of experience, we know which lease template to use and we can provide tips or language in the Lease Agreement that will benefit the landlord. Tenant Representation – if you’re a business owner looking to relocate or to open a new business, then you’ve come to the right place. We have access to all of the vacant space on the market and we know which landlords you should deal with. We can assist in structuring the terms and conditions of a Lease Agreement that will be most beneficial to your business’ needs. Property Management – you’ve worked so hard to acquire the funds to purchase a commercial real estate investment so you can retire. So why are you now wasting all of your time managing your property? Leave the headaches of property management to the professionals, we’ve developed a thick skin and can handle the problems. We have experience managing different product types throughout the country, even Spain! After spending years in the business, we have developed a network of some of the best vendors that are reliable, hardworking, and cheap! Our bookkeeping and decision-making skills in property management will allow you to relax and get back to living your life. To view our services in detail, please click HERE to download our “Company Information Booklet” in PDF format.